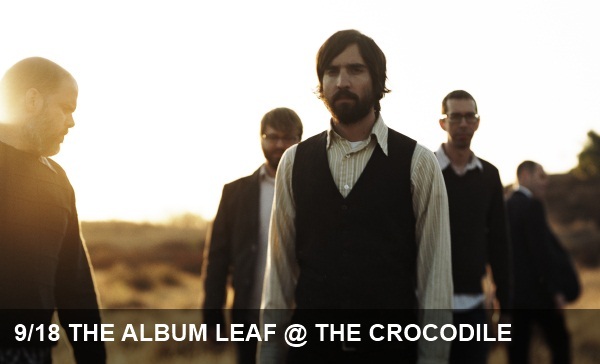 It’s hard to believe that The Album Leaf have been around for 13 years. Like some of our other favorite purveyors of dark, atmospheric, (largely) instrumental rock including Mogwai, Explosions in the Sky and El Ten Eleven, the solo project turned more-collaborative band fronted by Jimmy LaValle explores audio space in terms that best parallel cinematic experiences. Head over to The Croc to take in the multi-sensory experience for yourself.